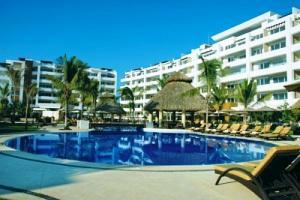 Property values surrounding Nuevo Vallarta continue to increase year by year. With some spectacular sites going up beachside, beach view, view of the Marina or even overlooking a golf course. Some of these developments are completed with some units left, others are still in early planning, visit the links below to get a clearer status on what is available. Situated on prime property amid the lush, tropical landscaping of the El Tigre golf course, within walking distance to the sea, and driving distance to the serene Sierra Madre, Sensara offers the best of all worlds. Whether you desire the peaceful lifestyle of meditation and relaxation or the more active pursuits of recreation and social activities, Sensara will meet your needs and surpass your expectations. 3.14 Living in Nuevo Vallarta is an urban concept with 84 lofts, flats and penthouses.